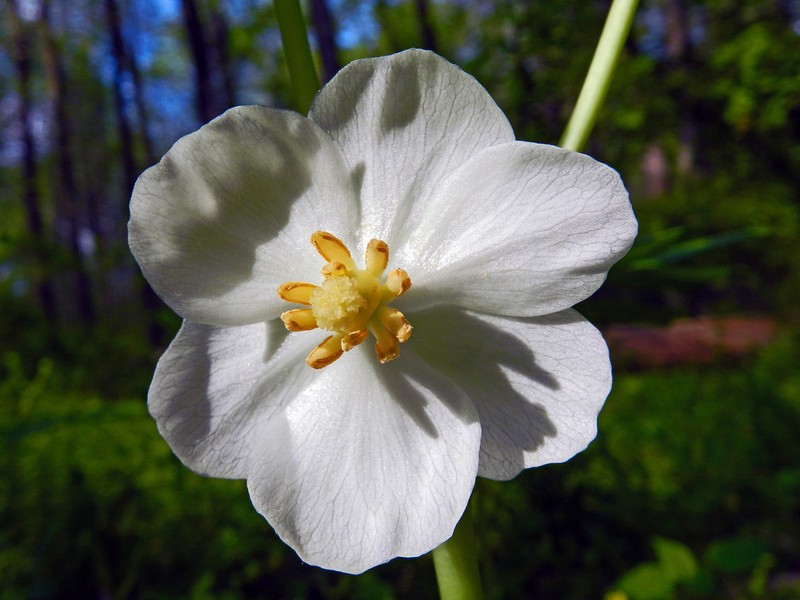 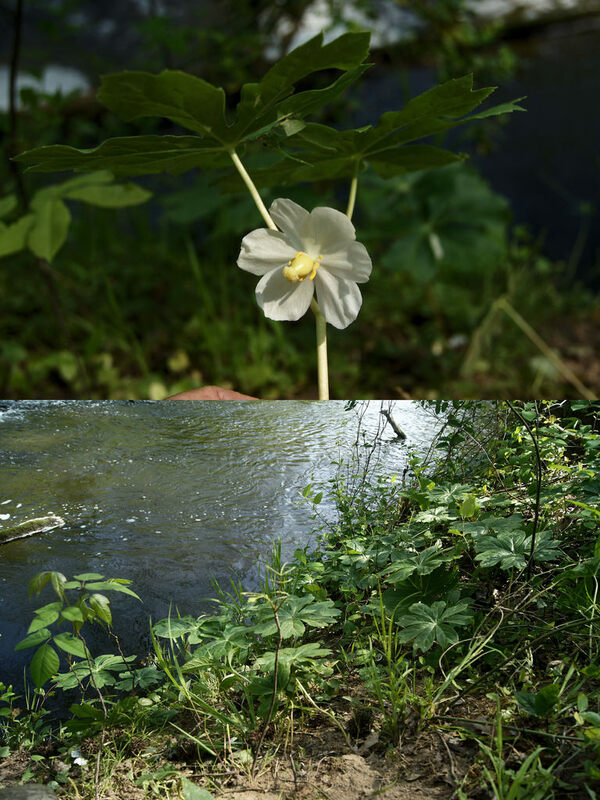 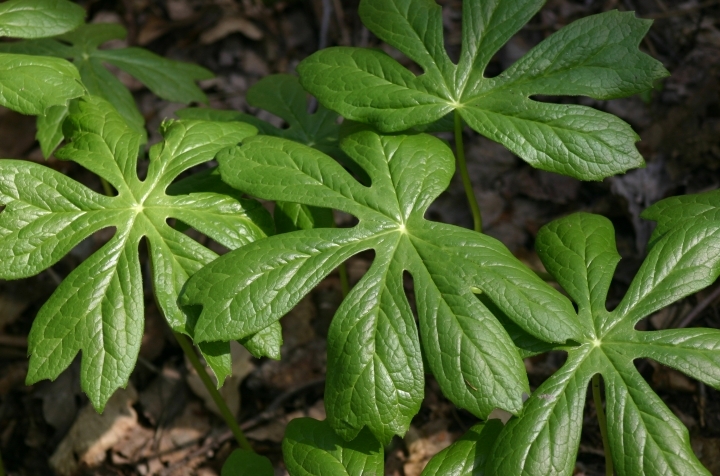 Mayapple Podophyllum peltatum Linnaeus Synonyms: May Apple. 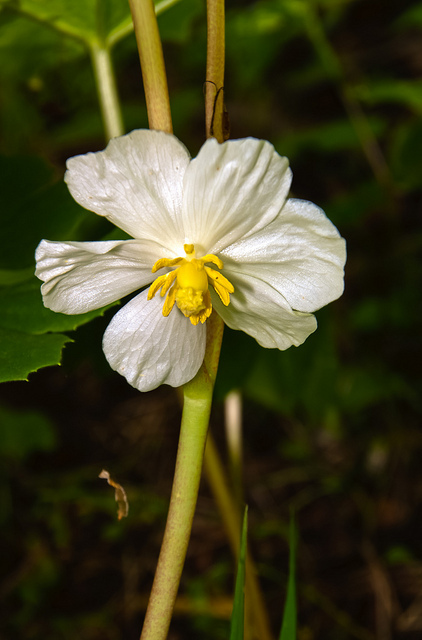 Pollinated by bumble bees and other long-tongued bee species. 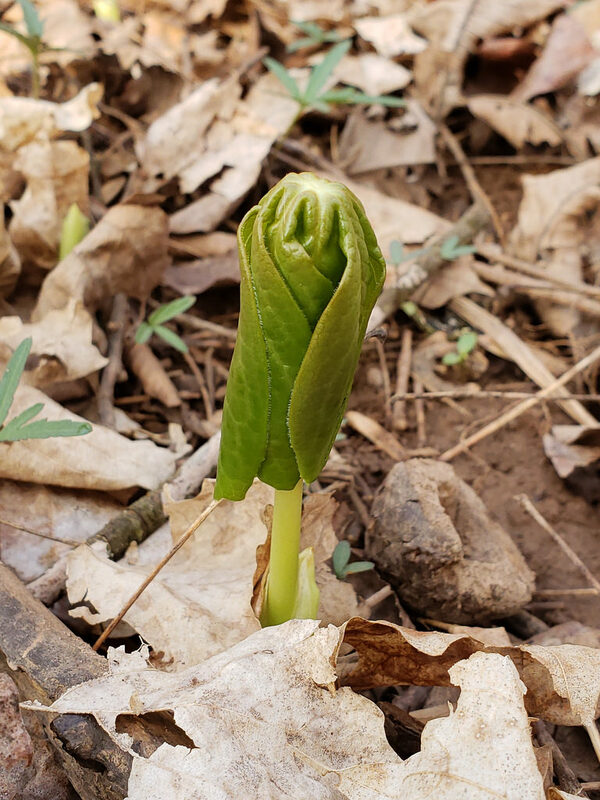 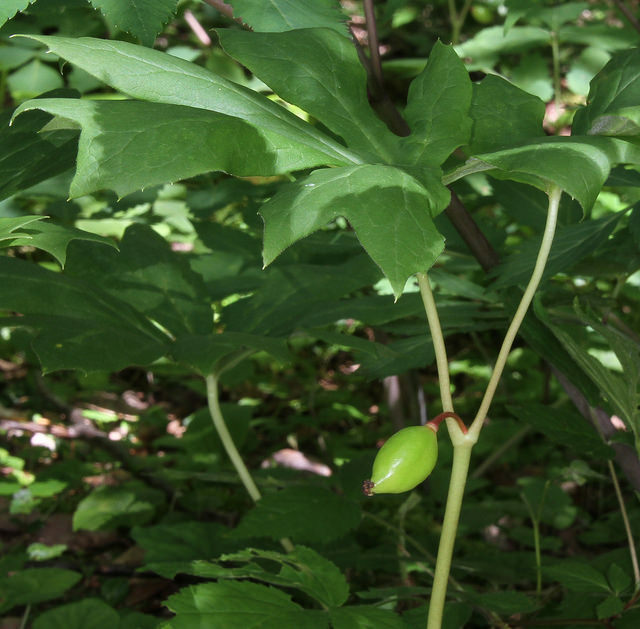 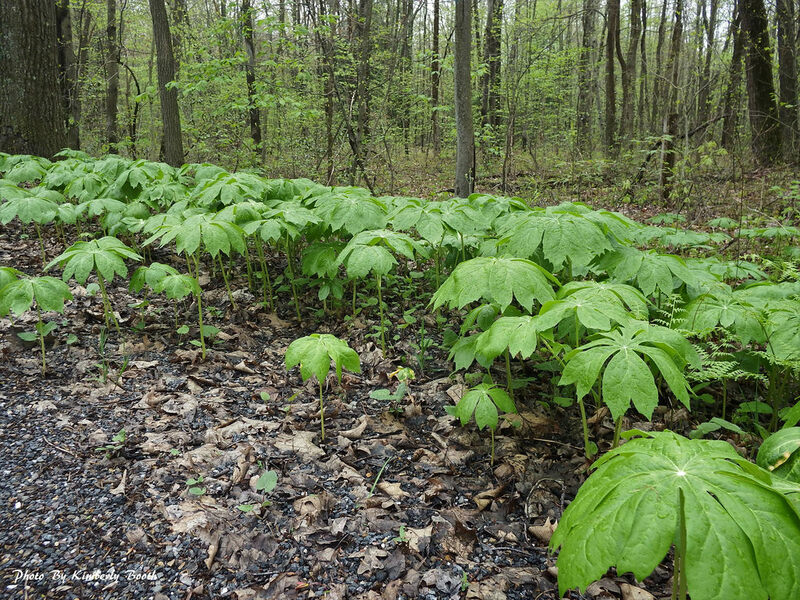 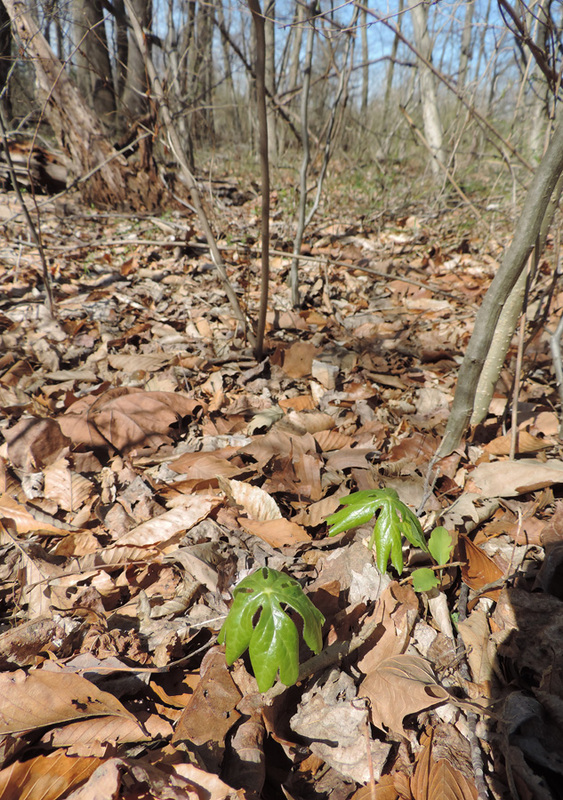 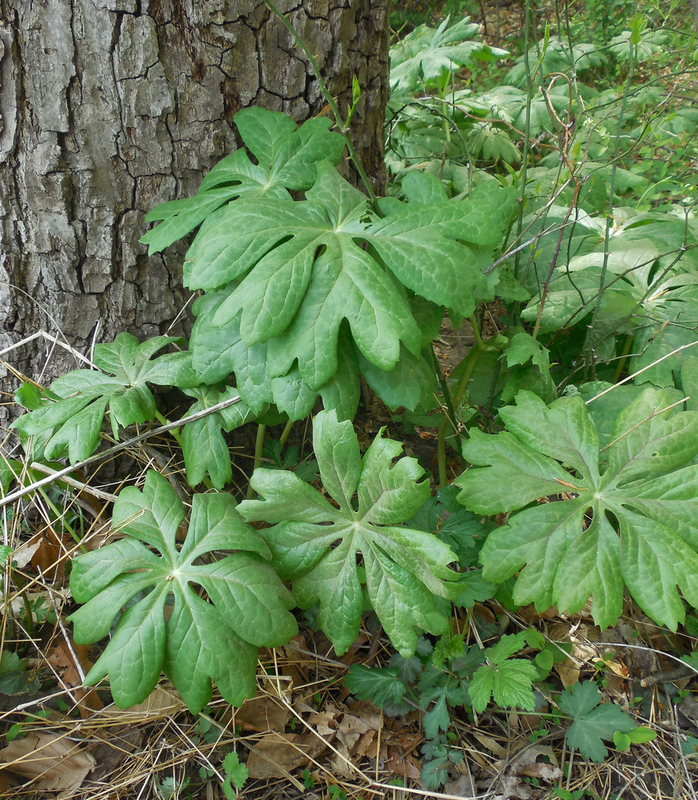 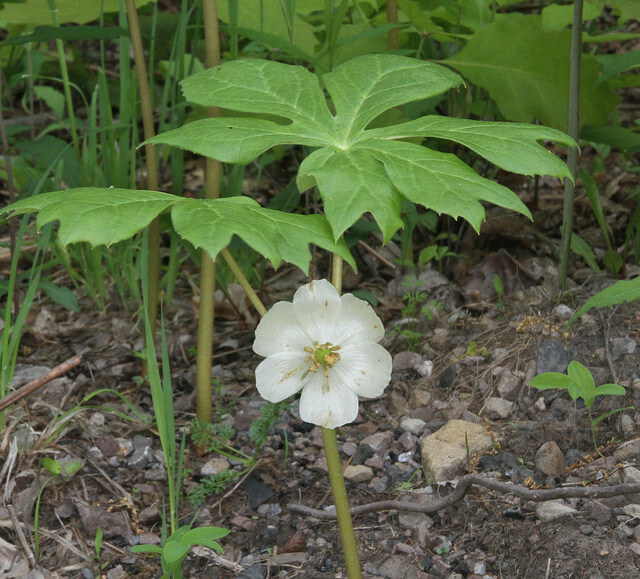 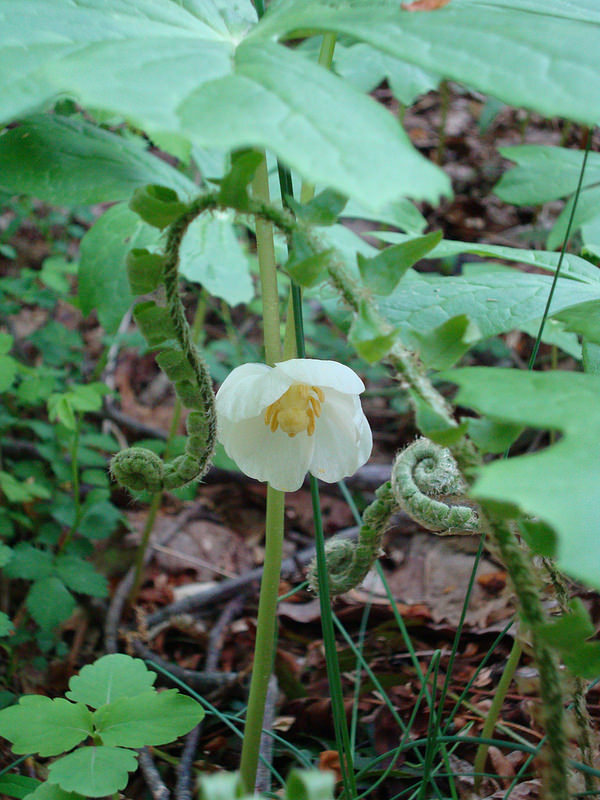 Host to Mayapple Rust. 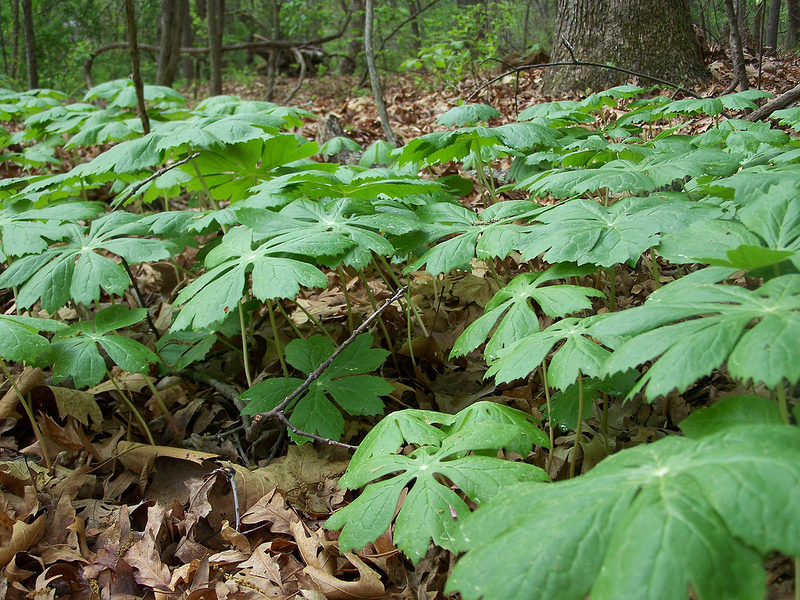 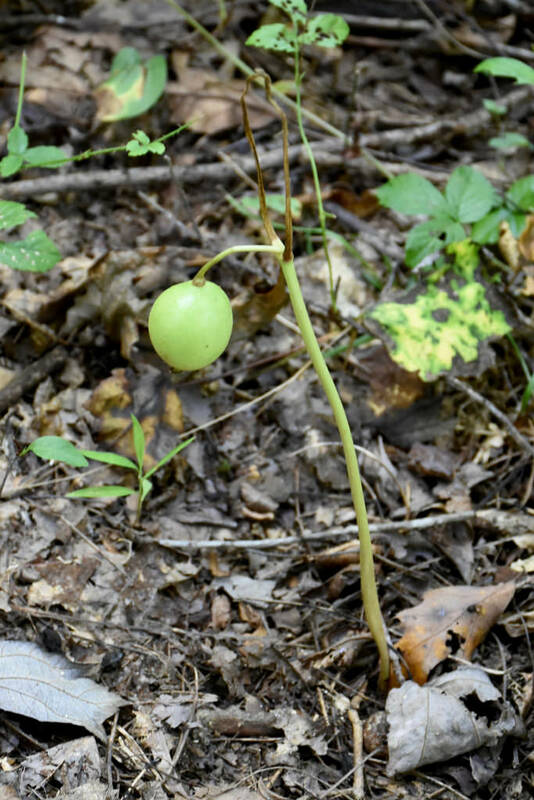 Foliage is bitter and toxic, so this species is spared by White-tailed Deer browsing. 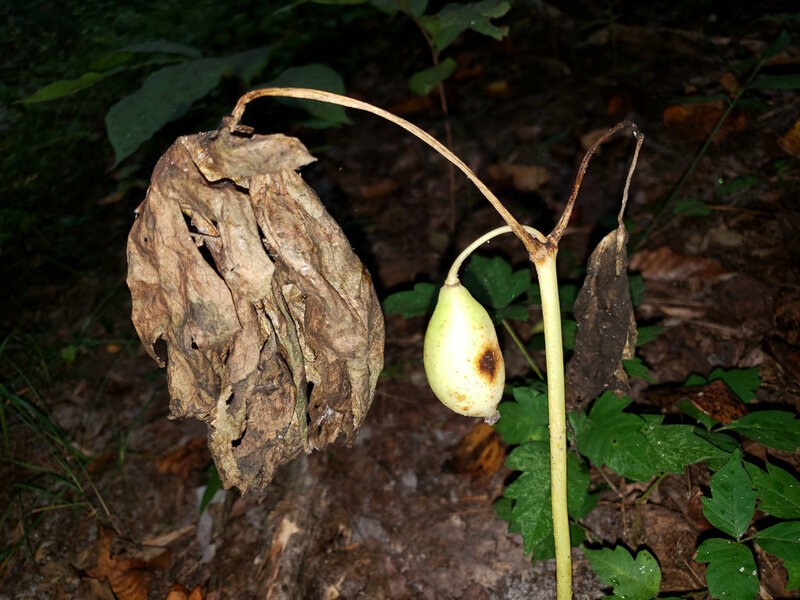 Ripe fruit are eaten by mammals, which then disperse seeds.